Effective 1 November 2018, the agreement runs until 30 June 2021, providing Kiwi schools with Ministry-funded licences as part of widespread plans to bolster digital learning capabilities. Specifically, the licence allows schools to manage multiple Chromebooks, customise features and configure security settings from a cloud-based admin console. “Schools tell us that Chromebooks fill three big needs,” said Suan Yeo, head of Google for Education A/NZ. “They’re easy for students and teachers to use, they’re easy to share and they’re easy to manage. “The Chrome Education licence was developed to make device management in schools a breeze, so that teachers and students can focus on what’s most important - teaching and learning. Yeo said registered Chrome Education licence partners are also available for schools seeking to take advantage of the agreement, including Cyclone; New Era IT; Noel Leeming; Norrcom and PB Technologies. Other key resellers include AISCorp; 100% Folders; Cello Technology; Computercare; Datacom and G-ASIAPAC, in addition to Harvey Norman; IION; Isometric Solutions; Johnstone Electrical and NLG Commercial. Rounding off the list, local providers also cover Officemax; Schooled Up IT; Smart PC; Soft Solutions; Spark; Telco Technology Services and The Laptop Company, alongside PlayTech; ITED Services; InfaTech Solutions; Acquire; Unscramble; Inhouse Computers and Smart Computer Systems. 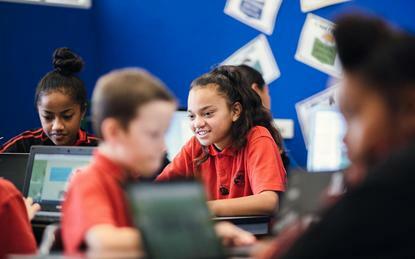 “We have been using Chromebooks since they first became available to New Zealand schools in 2013 and have relied on the devices having the Chrome Education license to ensure the focus remains on learning and teaching,” said Dorothy Burt, education program lead at the Manaiakalani Innovation team. The agreement comes 12 months after New Zealand joined the list of countries, including Sweden and the United States, where Chromebooks are the number one device used in schools. “Chromebooks continue to be a top choice for schools,” said Arunachalam Muthiah, senior market analyst at IDC NZ, at the time of the release.